The heart of Morocco is its mountains. Here you will encounter a strong traditional world still dominated by shepherds and their pastoral life, thanks in large part to the local Berbers whose mysterious and nomadic traditions are still very much alive. 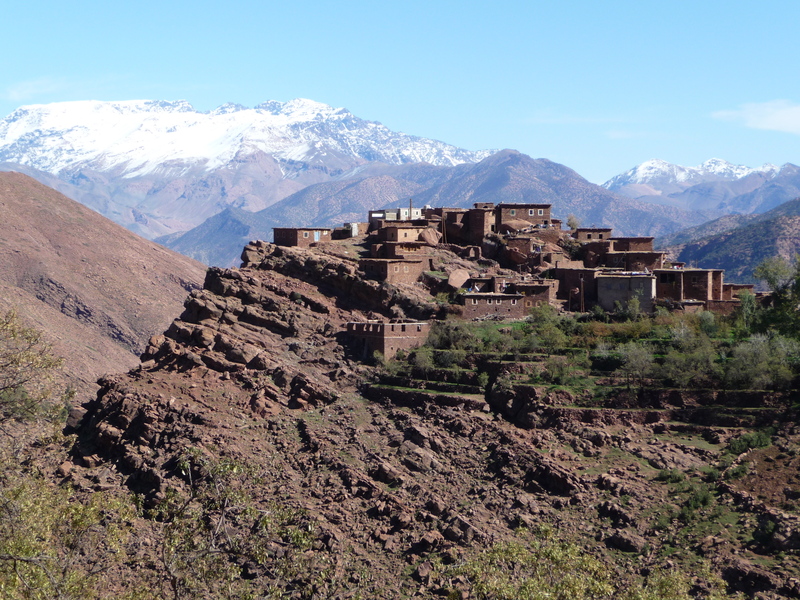 Today's Morocco is a land of interesting contrasts between tradition and rural modernity. An excursion on foot through the Atlas Mountains and the Ourika Valley (one of the most fertile and densely populated areas of Morocco) will give you the opportunity to learn about one of the region's most rural and colourful souks, and see close up the traditions and habits of an ancient and proud people. Guided by our Berber guide, Hassan, you will explore authentic douars (villages) and small farms. We will stop for lunch at Aicha's house to taste her traditional cooking and visit the nearby salt mines. Daytrip with morning departure from the riad and return in the afternoon: 70 €/person, including transfer and lunch (rate on a 2 participants basis).